Idyllic white sand and calm waters make Playa Mansa a perfect choice for a relaxing beach day. Relatively small crowds add to this beach's appeal, leaving you to enjoy the warm water with a long swim, or soak up the view with a walk along the boardwalk. If you're looking for more adventure, rent water sports equipment for kitesurfing, windsurfing, sailing, and canoeing. A number of restaurants and cafes serving local specialties allow you refuel without getting too far away from the water. The only downside to this spot is the jellyfish, which can pose a problem during certain times. By using our Punta del Este sightseeing planner , you can arrange your visit to Playa Mansa and other attractions in Punta del Este. Nice place. Well urbanized and very frequented, allowing long and pleasant walks by its boardwalk. In the extreme is the yacht club and local port, where fishermen sell their products in the morning. The best is the very beautiful sunset, being attraction even to the locals, who sit with their indefectible mates to enjoy it. Muy linda playa y tranquila. El agua es clara. A veces hay aguas vivas pero mas allá de eso es ideal para relajarse y ver hermosos atardeceres. Very nice beach and quiet. The water is clear. Sometimes there are living waters but beyond that it is ideal to relax and see beautiful sunsets. La playa más concurrida de Punta del Este. Es amplia y generalmente tranquila. Es menos ventosa que la Brava. El agua en general es fría y transparente. 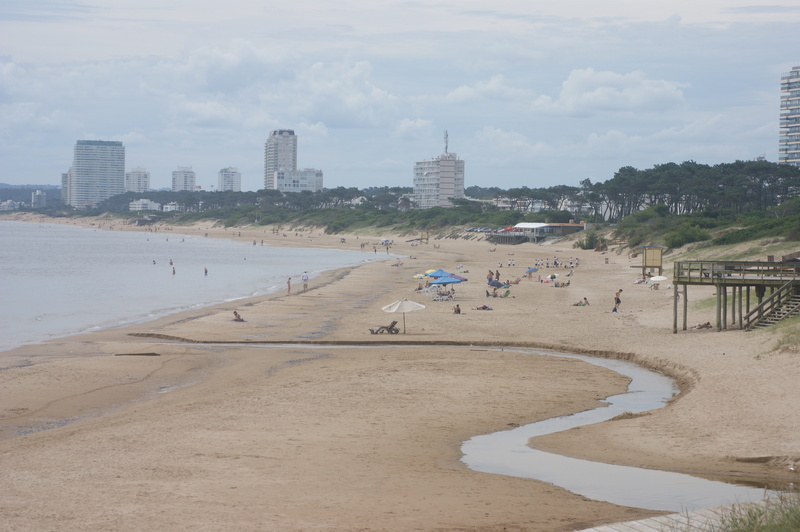 The busiest beach in Punta del Este. It is wide and generally quiet. It's less windy than the Brava. The water in general is cold and transparent.